Now that we are getting closer to summer, you may notice that strawberries are becoming cheaper in the stores. One of my favorite sweet flavor combinations is strawberries and banana, so it isn't too far fetched to incorporate these into a breakfast muffin. 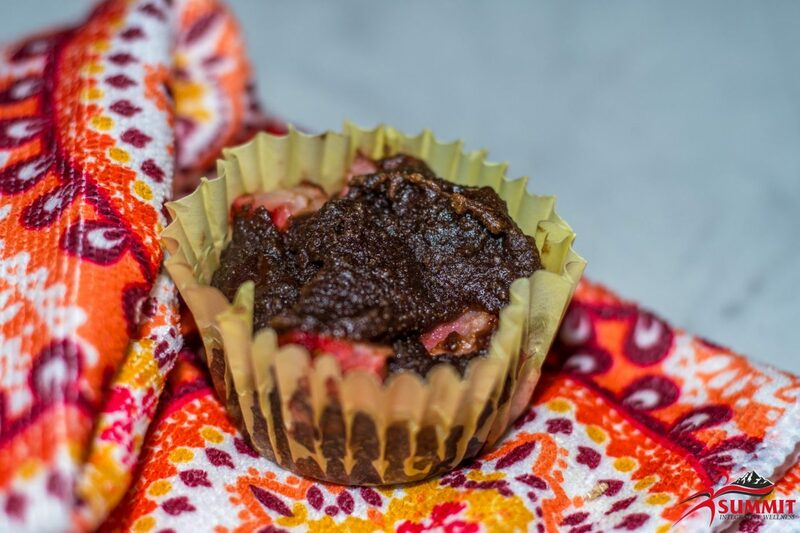 Hence the name, Strawberry Banana Muffins!You may be wondering if this recipe would be too sugary to still be paleo, but with all the seeds, nuts, eggs, and extra collagen this meal still has more protein and fat than sugar. It is overall a little on the sweeter side, which is why I labeled it as a breakfast or dessert option!